The following information shows technical performance for the main acoustic sound absorbing foam product in this kit. 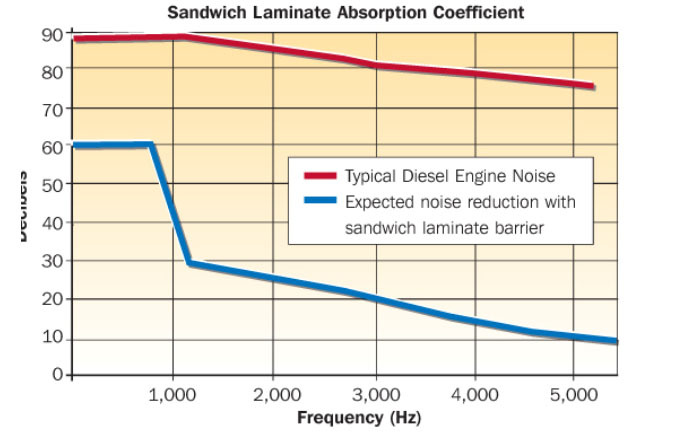 The product was tested with engine noise and the graph below outlines the results. This graph does not show sound reduction achieved in a home made enclosure but is a useful indication of how efficient the sound insulation is.